Wrongful Death - McCamley & Branchaud, P.C. 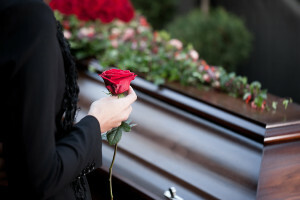 Wrongful death is a civil action which charges another with being liable for injury resulting in another’s death by reason of negligent actions or a failure to act which could foreseeably result in death. The plaintiff (the executor or administrator of the estate of the decedent, family member, or spouse) must prove that the decedent would not have died but for the negligence of the defendant. If you have questions about the loss of a loved one, please call for a consultation today.